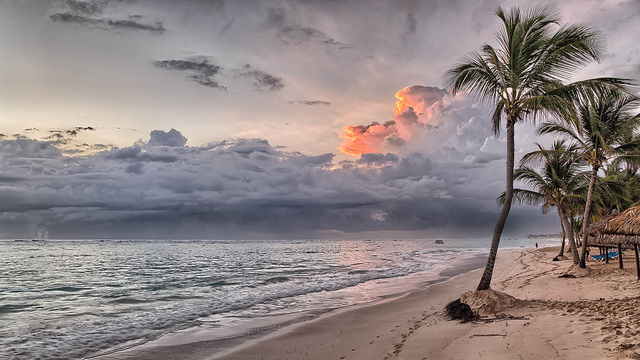 Punta Cana is located on the eastern shore of the Dominican Republic. The territory starts at the north with a beach called Arena Gorda and follows south Bávaro Beach, Uvero Alto Beach, Macao Beach and El Cortecito Beach. Further down you will find white sands and blue waters present in Cabeza de Toro, Cabo Engaño, Punta Cana and Juanillo. The weather in Punta Cana is ideal for vacationing and enjoying all the beaches without any excessive heat, due to the lowest average temperature staying around the 68 degrees and a maximum of 89 Fahrenheit. Punta Cana is considered one of the main places to visit in the Dominican Republic, providing travelers with around 50 kilometers of beautiful pristine beaches, some of the best hotels and the opportunity to take up some of the most exciting aquatic sports, excursions and leisure activities; all of it, very near to the Punta Cana International Airport. Famous for its crystal clear turquoise waters and fine white sand. Visitors opt to stay at Bávaro Beach partly due to the beautiful hotels that offer a wide array of culinary options and traditional cocktails. Aquatic sports like sailing, scuba diving, snorkeling and more, are some of the main attractions on this beach. The UNESCo declared this beach as one of the best in the world due to its particular beauty. A beautiful place to see while in Bávaro, is the Bávaro Manatee Park and check out the many shows that display beautiful fish and dolphins people can interact with. During the nighttime, they hold exhibitions with horses as well. Located in Las Galeras, this beautiful natural beach is considered to be in the top ten destinations to see in Punta Cana. The beach is quiet and peaceful with welcoming waters to swimmers. The coast is broad and large so people usually play sports like volleyball and soccer. Aquatic sports are also common with windsurfing and kitesurfing being favorites. Restaurants in the area specialize mostly in seafood and have some of the best culinary offers available to visitors. For those interested in learning about the history of the beach and about the Spanish conquistadors and their travels, they may find tour guides specialized in talking about all the historic significance of the area. There are a few areas in Playa Rincon that are off limits to people and protected. Located 225 kilometers from Santo Domingo and 48 kms from Samaná. This is one of the most popular and most visited beaches in the area due to the low footprint it has and for being one of the most protected by its high vegetation. The fine sand and clear waters are perfect for those looking to rest in a quiet place. This is the closest beach to Santo Domingo. As you walk through Boca Chica Beach, you can find food stalls, restaurants, markets, fruit vendors and other type of specialty shops that make this area very charming. The beach offers the opportunity to experience a true Caribbean atmosphere and a livelier environment than other beaches. The water is about 4 feet deep and there is a coral reef formation nearby that makes it so a natural pool is formed. 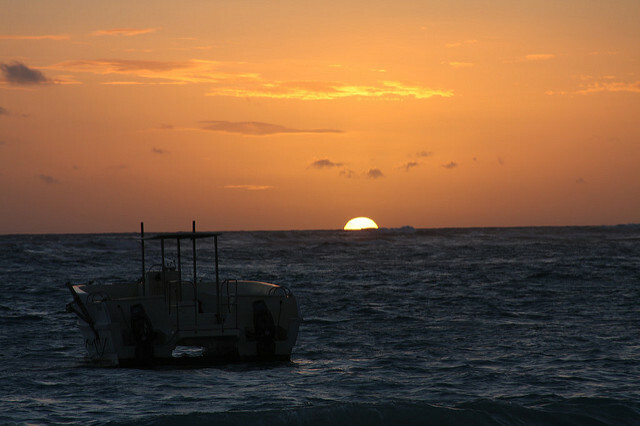 Boca Chica is welcoming and the people there truly make you feel glad you chose to stop by. Try the local dishes at small stalls and the local drinks as well that are usually sold by small vendors. This is a natural theme park located right at Bávaro Beach. Visiting is highly recommended for families traveling together specially, but they have things for everybody. The tropical flowers and orchid gardens are truly breathtaking. During your stay at the park, you may enjoy different types of activities like dining at the different restaurants, shopping for traditional artisan-made souvenirs and the main attraction, swimming with dolphins. The park has shows with exotic parrots, horses, sea lions and dolphins as well as local dancers and other artists. There is also a small zoo where you can see up close iguanas, snakes, crabs, flamencos and other animals indigenous to the region. The food offer and shops are varied and very inclusive. You can find anything from pizzas, fast food and small snacks to a full restaurant with gourmet dishes of the most extravagant sea fare. The park works as a place of conservation and care for the environment and the land so it will be available to the many generations to come. For more information on deals, hotels, cruises and more, check out our page and our blog at Royal Holiday Destinations. Also, make sure you check out our articles about other Caribbean beaches you must visit! 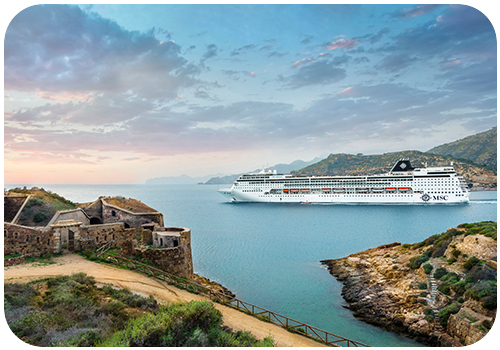 MSC Cruises for members: so exciting! You’re invited to come on board and experience the Italian cruiseline, MSC with great discounts for Royal Holiday members. If the idea of a cruise vacation sounds alluring, we recommend trying MSC, famous around the globe for the elegance and modern features of their ships. MSC’s ships sail on exciting routes worldwide and have 24 hour entertainment and leisure options: from Broadway style shows, spa services to pamper yourself, swimming pools, jogging track, mini golf, bowling, basketball courts and tennis courts, solarium, gym, authentic Italian cafes, duty free shops, specialty restaurants with delicious food from around the world to bars, nightclubs and much, much more. In addition, the service on board is impeccable. Friendly and knowledgeable staff are dedicated to granting all passengers’ wishes. Whether the trip is romantic, a family vacation or one with friends, MSC has the route and cruise of your dreams. Some itineraries that you can book with your membership are: Caribbean, Cuba, Mediterranean, northern Europe and the Arab Emirates. Includes a selection of three of the best excursions available on each cruise at a very attractive price. Remember that the offers have limited availability and are valid only in certain ports. Ask your Royal Holiday advisor for more information. Choose from a wide range of drinks, from soft drinks and fine wines to beer from top brands. Enjoy them unlimitedly, anytime, anywhere. Available in the MSC Aurea SPA, with sumptuous beauty salon facilities, a gym with the latest technology and a team of experts: from massage therapists, pedicurists, to stylists, personal trainers and yoga instructors, all ready to help you feel pampered. You can also take advantage of discounts at restaurants, internet packages and transportation packages. Find out how from your Royal Holiday advisor. Use your Royal Holiday membership to take the journey of your dreams on board of an MSC cruise. It will be an unforgettable experience! Mazatlán’s Crowne Plaza Hotel has become Park Royal Mazatlán. We welcome you to visit it and enjoy its comfortable accommodations. Because Mazatlán is an amazing destination, you can now use your Royal Holiday membership to book your next vacation at Park Royal Mazatlán. The best location in Mazatlán’s Marina, one of the most exclusive areas in the city, full of bars and restaurants, with a beautiful golf course and Plaza Galerias shopping center and near the International Convention Center. We also encourage you to discover the 8 following “musts” while in Mazatlán. Playing golf in one of its 4 golf courses. Take advantage of your Royal Holiday membership and experience this charming destination in the Mexican Pacific. We are continually striving to fulfill our commitment to continuous improvement. Now you can enjoy the new navigation functionality of our website, designed to make it easier to search for availability. It allows you to find the destination of your next vacation more easily. Just log in to royal-holiday.com and choose your search immediately by date or destination. This new system will offer you more options so you can pick the one you like the most. Try our new functionality here.